Clay Aiken – It Will Only Get Better and Better! 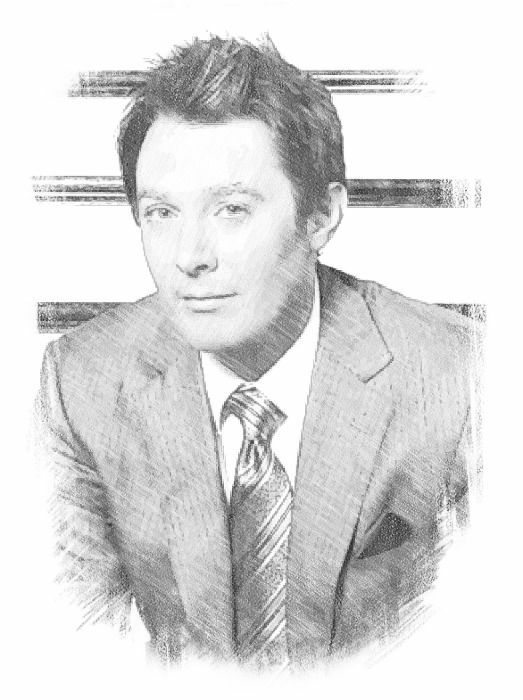 Just when you think the PR Team is taking a week-end break we find that there is some more exciting and interesting interviews, pictures and articles about Clay Aiken and Celebrity Apprentice. Donald Trump has announced the official line-up for “Celebrity Apprentice” in 2012, his biggest cast yet. If you’re a reality-TV junkie, a lot of the contestants are familiar faces…. This article starts out with a paragraph about Clay and the only picture in the article is of Clay. If you want to read more, you can find the entire article at IBTIMES. I love the new interview by TV Guide. Clay has always been treated well by TV Guide. This interview is lots of fun. It is a video interview and you can see it in the margin to the right. I think it might be one of my favorites!! LCV was fooling around with Photofunia and created this great sketch. I really love it! It’s a great time to be a fan of Clay Aiken!! It will only get better and better!! I just LOVED the interview! One of my favorites so far! Great article and love the sketch! It really isa great time to be a ClayAikne fan!!! The TV Guide interview was fun and I love what LCV did with the Clay photo. I'll have to try out that website. So glad to hear the comment by Lisa that Clay is so smart. We all know that and now the rest of the world will know it too. The sketch is beautiful…thank you LCV. Love it all — great b&w pic, he's looking SO good!, tv guide quite funny, liking the MSNBC vid too, "bye-bye, Arsenio", rotfl! But witw is that hair about??? Thanks so much, as always, for keeping us up w/Clay, no short task these days, more buzz even than when he first did Beatle bangsl!!! kacy4Clay – I'm calling Clay's latest hairstyles *Free Spirit* or *The Edge* because they epitomize him. It's all good! Great article. That sketch is Wonderful. I love the suit & tie Clay is wearing and I love how handsome he looks. What a smart guy. I hope he wins. I Love the TV Guide Interview of Clay Aiken & Lisa Lamponelli!!! Awesome!!! They play off each other perfectly!! it's about damn time that Clay got credit where credit is due!!! Error: Error validating access token: Session has expired on Tuesday, 21-Aug-18 16:13:01 PDT. The current time is Thursday, 18-Apr-19 05:36:23 PDT.